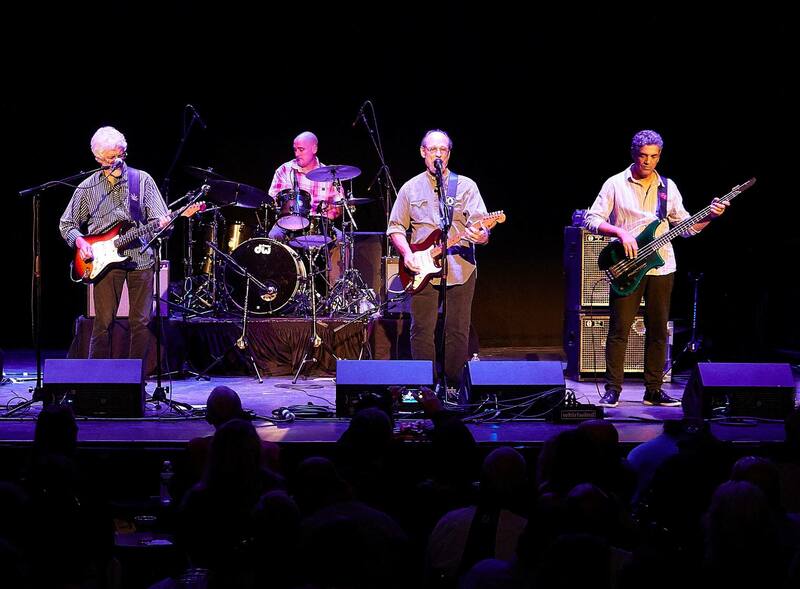 Celebrate 50 years of Little Feat with Funky Feat featuring Members of Little Feat: Paul Barrere, Ken Gradney, Fred Tackett and Gabe Ford! In 1988, the reformed band—with new members Craig Fuller (handling George’s vocal duties) and Fred Tackett--rekindled Feat’s magic for fans old and new alike. That year, they released the lively reunion album Let It Roll, and the singles ”Hate To Lose Your Lovin’,“ and, of course, the title track. The 1989 follow-up, Representing The Mambo, would prove to be their last for Warner Bros. Next came 1991’s Shake Me Up (on Morgan Creek), after which Fuller departed the band. Little Feat added a new lead singer, Shaun Murphy, in 1993, and released an acclaimed studio album, Ain’t Had Enough Fun in 1995 (this time on Zoo). Shaun was with Little Feat from 1993 to 2009. Shaun’s feminine energy and powerful, seasoned, bluesy vocalizations certainly upped the fun quotient for a recharged Little Feat. This incarnation of the band was captured live to great effect on ‘96’s Live From Neon Park, a two-CD set culling performances from multiple concert venues including San Francisco’s fabled Fillmore Auditorium, Portland, Oregon’s Roseland Ballroom, and House of Blues Sunset Strip. Named after the renowned album cover artist whose striking images gracing Little Feat’s releases was a time-honored tradition (until his death from ALS in 1993), this live-fest featured all the band’s best-loved songs as well as their contemporary material. The collection proved how vital they remained after all the changes time had wrought.